Mierins Automotive Group has been a family-owned business for more than 60 years. 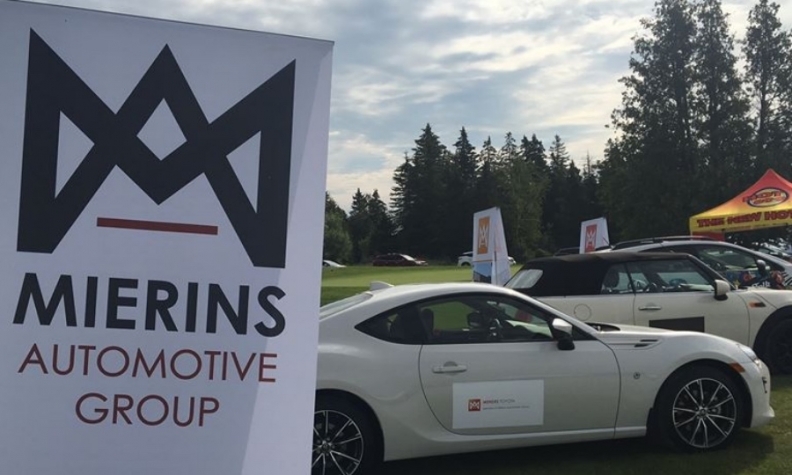 Alpha Auto Group of Toronto has acquired 10 of 11 new-vehicle dealerships and two collision centres from Ottawa-based Mierins Automotive Group. Financial terms of the deal have not been released, but Alpha will take ownership of facilities in Ottawa, Kingston and Brockville. The acquisition doubles the number of dealerships owned by Alpha. The sale includes Acura, BMW, Honda, Lexus, MINI, Subaru and Toyota brands, giving Alpha 13 brands at 20 stores. Mierins Automotive Group has been a family-owned business for more than 60 years. The deal announced Friday does not include Ogilvie Motors, a Mercedes-Benz dealership in Ottawa. All 550 Mierins employees have been offered positions with the Alpha and will retain their existing levels of seniority and benefits, Mierins said in a statement. Mierins Co-presidents Lisa Mierins and Arnie Mierins will stay on for a transition period. According to The Ottawa Citizen, Arnie Mierins Sr., a mechanic by training, opened Silver Star Motors in the late 1950s and was one of Ottawa’s early Mercedes-Benz dealers. The newspaper said that among his first customers was Pierre Trudeau, who later became prime minister. He bought a 1960 Mercedes 300 SL roadster, originally costing about $8,000. The car remains in the family, driven by Justin Trudeau at his wedding to Sophie Gregoire in Montreal in 2012, the Citizen said. It is now being fully restored in Victoria.